Plot: When Shaun decides to take the day off and have some fun, he gets a little more action than he bargained for. 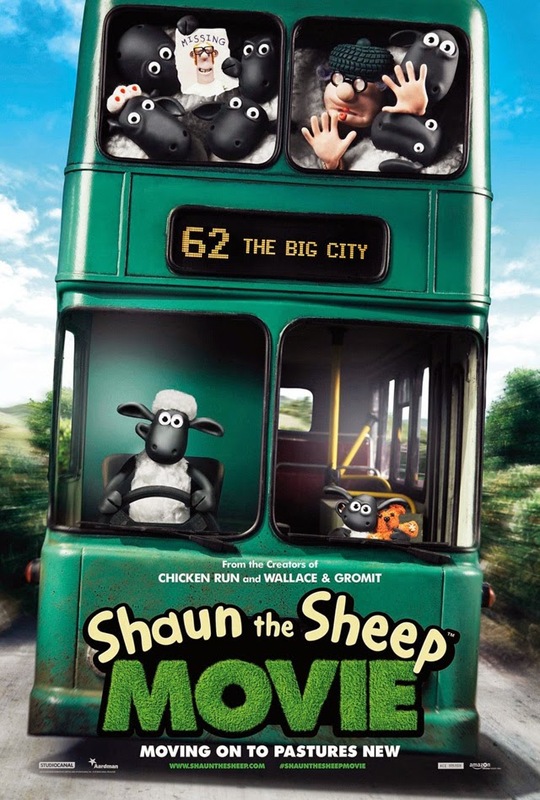 A mix up with the Farmer, a caravan and a very steep hill lead them all to the Big City and it's up to Shaun and the flock to return everyone safely to the green grass of home. If you enjoyed Chicken Run (2000) and Wallace and Gromit: The Curse of the Were-Rabbit (2005), you simply cannot miss the latest from Aardman Animations, with or without a bundle of kids. 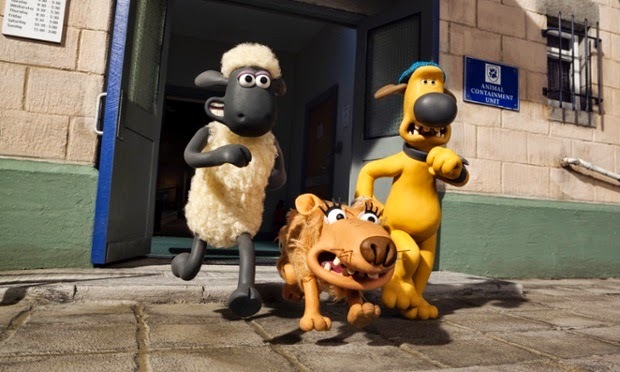 Sure to be (well, it better be) nominated for next year's Oscars for Best Animated Feature, Shaun the Sheep Movie is silly fun, methodically made by the stop-motion masters, but most importantly, it is not lacking in its storytelling and characterization. The film centers on Shaun, a quick-thinking sheep living with his family on a farm managed by the Farmer with his trusted dog, Bitzer. Shaun dreams of a day out in the city, and inadvertently does so in the most unfortunate (but hilarious) of circumstance. The film follows the fail-safe tradition of a "baby day's out" story, only that the baby is a sheep, oh well, many sheep. The city is a very dangerous place, especially with the animal containment unit guy running around. I tell you, this guy is hell bent in making the lives of animals as miserable as possible. He's also a big fan of The Terminator (1984) and Taxi Driver (1976), well as far as film enthusiasts would care to point out the references, but I don't think he appreciates cinema as much as macho men with weapons. There is also a reference to Silence of the Lambs (1991) the movie; in fact, the whole film gives literal meaning to the title of that Jonathan Demme picture – the sheep do not speak. The characters, even the humans, make garbled accented sounds. There's no clear dialogue, and this is what makes the movie a joy to see. It works entirely on the merits of its plotting, characterization and comical set-pieces, quite like the films of Jacques Tati (Playtime, 1967). 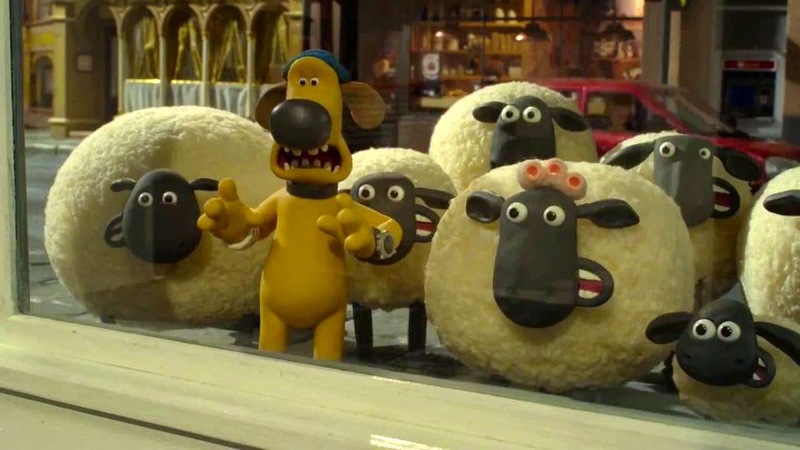 According to the end credits, Shaun the Sheep Movie was made primarily by stop-motion, and enhanced by digital effects. That doesn't mean it is a less organic movie experience. If anything, Aardman's trademark wit, creativity, and the passion to entertain continue to impress. This is an excellent family movie, and even if it is more kids-oriented than, say, 'Wallace & Gromit', adults will have a field time enjoying the cracking situational humour… a perfect comedy to usher in the Year of the Goat. Verdict: Aardman Animations delivers another flat-out hilarious comedy that you simply cannot miss, with or without a bundle of kids.